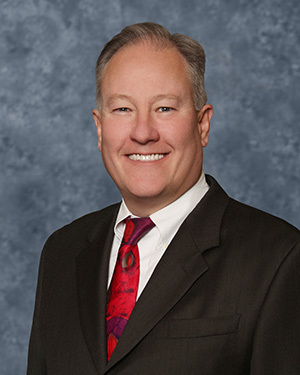 San Bernardino County Auditor-Controller/Treasurer/Tax Collector (ATC) Ensen Mason was elected in June 2018 after a 30-year career as a local Certified Public Accountant (CPA) and Investment Adviser. He has prepared over 10,000 individual and business income tax returns and has 15 years of experience in financial planning and investment management. Mr. Mason is both a CPA and a Chartered Financial Analyst (CFA). He is an Enrolled Agent with the Internal Revenue Service and holds a Master’s Degree in Business Administration (MBA), with an emphasis in finance from the University of Redlands. In his new role as Auditor-Controller/Treasurer/Tax Collector, Mr. Mason oversees 336 employees in directing the financial affairs of the County and managing an investment pool of over $6 billion. He also is an appointed ex officio member on the San Bernardino County Employees’ Retirement Association (SBCERA) Board of Retirement and helps manage their more than $10 billion portfolio of investments. As Auditor, he is the fiscal watchdog for the County in ensuring taxpayer dollars are spent without waste, fraud or abuse. As Controller, he ensures that funds are spent properly and efficiently. As Treasurer, he supports taxpayers and County employees by ensuring their investment dollars receive the highest return safely possible. Finally as Tax Collector, he collects all tax monies owed fairly and compassionately while providing taxpayers with full due process rights and affording them every opportunity to pay taxes conveniently and easily. Mr. Mason is an avid pilot, an active member of Kiwanis, and the proud father of Travis. He is a former elected school board member and resides with his son in Redlands.